HUNTINGTON, W.Va. – Marshall University will host the Huntington Summer Music Festival June 21-22 at Pullman Square, carrying on a new jazz music tradition that began in the summer of 2018 with the Ellis Marsalis International Jazz Piano Competition. 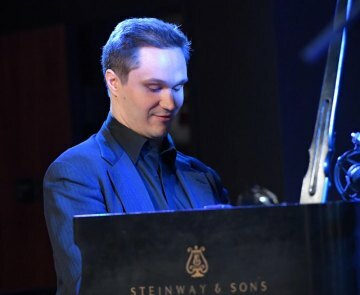 The jazz piano competition will return to Huntington in two years, but in the meantime, Marshall’s School of Music will keep celebrating jazz each June by offering performances, education and community events. Along with performances from world-renowned and local jazz musicians, this year’s festival will feature a bier garten, a jazz art exhibit, and an instrument petting zoo for children and other festival-goers. The Ben Paterson Trio will perform as the headline act for this year’s festival. Other headliners will be the Jewel City Jazz Orchestra and the Reggie Watkins Quintet. Watkins is an internationally renowned trombonist who has performed or recorded with greats such as The Temptations, trumpet virtuoso Maynard Ferguson and pop star Jason Mraz. As part of the festival, there will be a jazz art exhibit in Marshall’s Visual Arts Center at 927 3rd Avenue, across the street from Pullman Square. For more information about the festival, contact Saunders by phone at 304-696-4316 or by e-mail at m.saunders@marshall.edu.